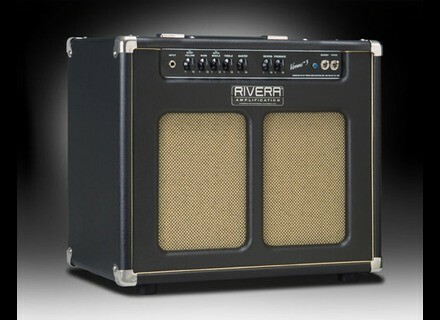 Venus 3 2013 Edition, Tube Combo Guitar Amp from Rivera. 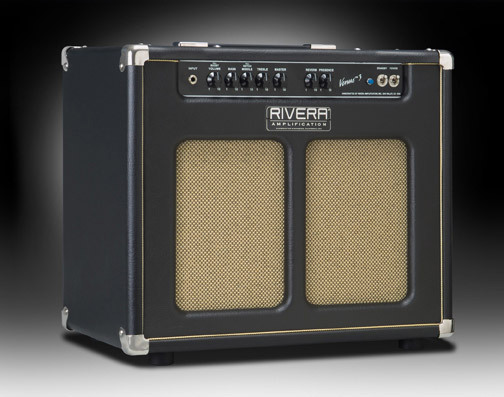 Rivera announces the availability of a new version of their Venus 3 15W valve guitar combo. This updated version of the Venus 3 add a footswitchable gain boost with a dedicated knob on the front of the amp. The Venus 3 combo is available in two Pearl White or Black finishes, with gold cloth grille, and you can choose between a 10" Vintage Gold ($1599) or 12" Celestion G12 - Heritage 30 ($1799) speakers. More info on www.rivera.com. Reverend Six Gun 2.5 Limited Edition Guitar Reverend Guitars is releasing a new limited run of 16 Six Gun 2.5 electric guitars available in three finishes. Crazy Tube Circuits announces The Bulb Crazy Tube Circuits adds The Bulb to its pedal catalog, a compressor that delivers 25V DC of clean headroom. New finish for the Music Man Luke III v2 MusicMan unveiled the second version of the Luke III Steve Lukather Signature, which is available in a new Bodhi Blue finish.